How Do I Help My Child Prepare for The California State Test? Spring is fast approaching and it is more important than ever to help your child prepare for the California state educational testing referred to as the “Smarter Balanced” testing system. What is the Smarter Balanced State Test? 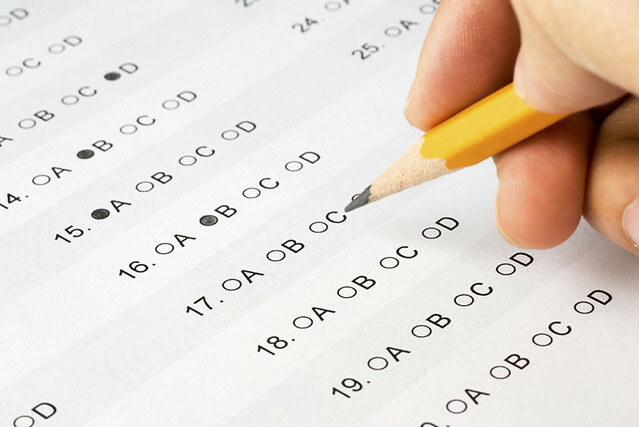 The Smarter Balanced state test is an educational assessment that uses computer-adaptive testing measures combined with performance-based tasks that helps students to convey that which they know and are capable of doing, in terms of English and mathematics. It is fully based upon the skills and concepts associated with the Common Core State Standards. It includes the summative and interim assessments, as well as the Digital Library, which includes the tools for formative assessment. How Can I Help My Child Get Ready for the State Test? To ensure that your child is properly prepared for the California state-based educational test, you should have your child take the three-part discovery assessment. This process aids in determining what your child needs in terms of academic learning through the means of a specifically-developed test. The second part of the discovery process involves meeting with an educational professional to interpret the results of the initial test and creating a customized learning plan for your child. Finally, your child will take part in the activities and sessions outlined in the learning plan. How Can I Help in Boosting My Child’s Ability to Learn and Retain Information? Throughout history, it has been believed that humans – as a whole – learn in specific ways; however, new research has established that no two brains are exactly alike. The brain is capable of change based on the specific and unique demands in which it is presented. This is professionally termed as “plasticity”. It is the process where the body creates new neural-based connections and strengthens them. To boost your child’s ability to learn and retain information, you must make certain that the circumstances of their educational environment are conducive to improving the overall level of functionality of the brain. What Types of Activities Improve Brain Functionality? If you are boosting your child’s ability to learn and retain information so that they may score high on the Smarter Balanced California state testing, you should start by ensuring optimal nutritional health, high levels of physical activity, and a proper sleep schedule. Additionally, you may ensure that they are socially active, emotionally intellectual, engage them in learning sessions with tutors and children their age, and academic coaching sessions that are tailored for them, as individuals. What Can I Do Today to Prepare My Child for Testing? If you are ready to start preparing your child now for the state testing, you should start – as previously mentioned – with the three-part learning discovery process. Simply visit Miracle Math Coaching and fill out a brief questionnaire about your child. One of our highly-trained educational coaches will review the information that you provide and will contact you directly on steps that may be taken to optimize the learning and retention process for your child. Should Adults Have Studied More? You won't find anyone more effective and passionate about math coaching and tutoring than Deanna and her team. Our fun outdoor camp will help students enjoy summer without falling behind. Summer Workshop Passes Coming Soon! No Thanks. Take me to the website. Karin Jinbo grew up in Los Angeles, CA in the diverse community of Venice. She graduated from the University of Connecticut (UConn) with a Bachelor of Science in Special Education and Master of Arts in Education with an emphasis in Second Language Acquisition. At UConn Karin was also a scholarship student athlete in the sport of Volleyball. Karin’s second graduate degree is from Azusa Pacific University. She earned her Master of Arts in Pupil Personnel Services, School Psychology. Karin’s career in Education spans 20 years, beginning as a paraprofessional in Special Education progressing to a Special Education Teacher, School Psychologist, Program Specialist, and Educational Administrator. She joined the Miracle Math Coaching Team in August 2015 as a part time coach and consultant. Karin enjoys seeing students and adults, alike, learn and grow. When she has a little spare time she enjoys traveling (for vacation), spending time with her dog, hiking, and learning new things. Coaches enjoy the direct interaction with students of all ages (including adults) and abilities, and enjoy connecting with them as individuals. They know the importance of understanding students’ struggles and are delighted to celebrate their successes. Deanna Hurn, founder and director of the Miracle Math Coaching Center, has been appointed to the Board of Directors of the National Tutoring Association (NTA). Hurn is a recognized leader in brain-based learning, teaching strategies aligned with how the brain works. Hurn founded Miracle Math Coaching Center with techniques she developed to thrive in her own academic career. She is NTA certified and holds an Associate’s of Science degree in Mathematics from Sacramento City College, a Bachelor’s of Science degree in Actuarial Statistics from the University of California at Santa Barbara and a Teaching Credential from the State of California. Before launching Miracle Math, Hurn served as an Actuary and Financial Analyst for Fireman’s Fund Insurance. The National Tutoring Association is a membership organization for tutoring professionals. Its mission is to foster the advancement of professional and peer tutoring and academic coaching, support research into best practices and standards for all tutors, support tutor training and advocate for tutor certification. What it’s like to be a part of our team? Prospective coaches who want to contribute both individually and collaboratively to students’ academic growth and ability to learn are encouraged to learn more about us. 1. Deliver brain-centered learning experiences. 2. Communicate measured results and program success regularly. 3. Cultivate a family-oriented atmosphere. 4. Recruit, develop, and assign exceptional educators and staff devoted to our purpose and the uniqueness of each learner. 5. Build a team of committed staff who foster communication, collaboration and professional development amongst each other. 6. Adhere to the highest levels of professionalism. Year after year, Miracle Math can guarantee an exemplary level of service because of those we select to work for us. We know the vital role our coaches play in the academic lives of our students. We’ve developed a proprietary system that allows us to find, interview, hire, train and develop the best academic coaches in the industry. Of course, they’re subject matter experts. But more important, they are nurturing, insightful, creative and goal-oriented with proven track records of success. Our Core Values are the guiding beliefs we follow and practice in everything we do. Our coaches are trained under careful supervision. Student progress is monitored and reinforced. Frequent and regular sessions ensure well-structured content and delivery. Student curriculum is coordinated closely with the classroom or teacher. All of these values allow us to achieve award winning success with a carefully organized program that is second to none. Our Core Purpose is our fundamental reason for existing. Miracle Math Coaching’s Core Purpose is to deliver brain-centered learning experiences to cultivate success in students, educators, and support staff. We are a recognized leader in teaching strategies aligned with how the brain works. Coaches collaborate in the presentation of workshops and the implementation of summer camps. They get to know each other personally as well (currently, most are afraid of spiders, and many speak more than one language). In our collegial atmosphere, coaches support and encourage each other. They contribute to each other’s knowledge base and skills sets. When part of a student’s coaching team, they communicate to ensure student’s needs are met. • What school in Fairfield is best for my child? • What classes do I sign my child up for? • Where can I take my kids for fun family learning? • How does my teenager complete a personal statement for college? • What resources are available for finding scholarships? Miracle Math’s customized coaching programs center on students’ unique opportunity to grow and become their best selves – whether in math or in other subjects. We also provide members with a pass to attend monthly workshops designed to improve the supporting skills every learner need to continually excel and maintain the growth they accomplish at MMC. Miracle Math is the only proprietary, brain-based, math-focused, one-on-one tutoring center in Fairfield. Brain-based means we use cognitive science to understand how each student learns best. Parents say that having highly-trained, enthusiastic professionals as coaches sets us apart. Miracle Math coaches have the heart and skills to inspire your child to succeed. Yes, we stress measured improvement in grades and test scores. But our larger goal is to achieve more in the development of your child and his or her ability to learn. We begin by training students brains to absorb knowledge. We continue by building confidence in your student through success in the classroom. We know as parents that it’s not easy watching your kids struggle in school. With Miracle Math, it’s Problem. Solved. Miracle Math embodies each of the most important characteristics that the California Department of Education has identified for effective tutoring programs. They include training personnel under careful supervision, monitoring and reinforcement of students progress, holding frequent and regular sessions, ensuring well-structured content and delivery and coordinating closely with the classroom or teacher. Miracle Math’s results are well-documented. Each student is tested at the beginning and end of the school years. The testing tools have been approved for their validity and reliability through the California Department of Education. • 99 percent of parents agreed that the Center met their students’ academic needs. Aubrey didn’t choose the teaching life; the teaching life chose her. Miracle Math Coaching was Aubrey’s first part-time job when she joined the team in February 2013. Although she did not have any desires to become a teacher, after a month of spending time with her students, she knew that she found a passion for helping others succeed in math. Working with Miracle Math Coaching has been a humbling experience for her; in fact, she took all her coaching skills to serve for AmeriCorps and work with Napa County Office of Education’s After School Program to give back to her community for a year and a half before coming back to MMC. As of right now, Aubrey holds an Associates of Science in Natural Sciences and Mathematics and she plans on pursuing her Bachelor’s degree and California Teaching Credential in Mathematics. Her favorite students to work with are Middle and High School students because of their eccentric personalities and how they keep her young with their “high energy and slang”. In her spare time, Aubrey enjoys hiking, Cross Fit and finding her next favorite restaurant in the Bay Area. She also loves to spend time with her loved ones and five cats. Her favorite types of foods and drinks are Bubble Milk Teas with Large Tapiocas and a giant tub of green tea ice cream. I love to learn and love people who share the same desire to learn. I have spent the last 19 years of my life learning and I believe that as long as I am surrounded by students, that desire will never fade. I grew up in Fairfield, California playing competitive soccer and running cross country. Being involved in my community as well as a student-athlete, I have learned to manage my time, be an efficient worker, as well as stay motivated by setting goals. I have always believed that my only competition is myself and as long as I improve, that is what matters. After graduating from Angelo Rodriguez High, I continued to receive my B.A in Public Health Policy and Education from UC Irvine in 2015. I am currently a student at Solano Community College, building a stronger foundation in anatomy, physiology, biology, and chemistry to prepare for a doctorate in physical therapy. As much of my life has been invested in color pens and coffee I do believe that balance is vital to success. I love to spend my free time at the gym or crafting. This is Dakota and she’s 23 years old. Because she looks young, it tends to help her connect more easily with the students. It allows them to see her as more young and fun, which allows the students to open up to her easily. She started teaching in high school, in a program called Teaching Career Paths. Dakota then took early childhood education in college, and even worked yard duty for a couple of years at an elementary school. She’s striving toward becoming a teacher one day, because nothing is more fun to her than working with children and their natural curiosity. She enjoys getting to know the students and how their minds work so that she can make learning as fun and as easy as possible. For hobbies, she likes to draw and play video games in her spare time, which makes it easy to connect with the students. Dakota has even done some art trades with some of our artsy students as a way to motivate their creativity and give them a reward in return. Brianna grew up in Vacaville and just graduated in September 2016 with her Bachelors in Science degree in Psychobiology from UCLA. She loves the beach, playing in the snow, watching movies as much as possible and exploring new places and things. She has tutored all age groups in math through community school programs, outreach clubs, and volunteer experiences. She is ready to connect the bridge between learning and truly understanding and is eager to show kids how fun and amazing it feels when this is accomplished. She is passionate about inspiring kids to further their education to achieve their goals and knocking out any doubt of doing so. Everyone has the ability to learn, it’s just a matter of figuring out how. Growing up in a big city didn’t always offer opportunities for outside play. One of the ways Denise McBride choose to fill her time was to develop a love for reading. She spent hours in the Children’s Room of the Main Public Library in San Francisco reading books on any topic that interested her. As a result, she loves to help children learn the mechanics of reading as well as assisting them in cultivating a love for great books. She also enjoys taking the “scariness” out of math by helping students master their course content, build confidence in their abilities, and go on to succeed in future math courses. Denise got a chance to put her desire to teach reading and math, as well as a variety of other subjects, into practice by teaching her own children as a homeschooling parent. She homeschooled all nine of her children and all of them have either graduated college or are attending college and high school. Her children’s career choices include engineering, pediatrician, nursing, entrepreneur, law enforcement and homeschooling mom. She believes that every child has the ability to grow intellectually and deserves a chance to get the support and encouragement they need to reach their full potential. She loves playing a part in their journey by providing them with the patience, consistency, and information they need to continue moving toward their goals. As Operations Manager, Barbara Daughter’s primary focus is to improve and optimize all operations, whether those impact students and their families or our coaches and administrative staff. Barbara brings a wealth of diverse experiences to her role which is crucial because the wide-ranging scope of her work consists of billing and scheduling; human resources and payroll; orienting new coaches and families; advising on marketing and program growth; as well as overseeing the physical space and organization of events. With her deep love of learning, and a commitment to improving the lives of others regardless of her role, this position calls on Barbara’s passions, education, and varied work experiences, which include managing in a variety of settings, as well as coaching and advising in other training centers. She holds a Bachelor’s in Social Work, a Master’s in Philosophy and Religion, and numerous certifications in various fields. In her spare time, Barbara takes pleasure in connecting via social media, writing essays, acrylic painting, and studying philosophy and religion. And spoiling her two cats. Rebecca has known she wanted to teach since the sixth grade. A native of Phoenix, Rebecca graduated from Arizona State University with a BA in Secondary Education and a BA in English. After graduating, she worked for the Deer Valley Unified School District as a paraprofessional, and later as substitute teacher. She also worked as a Freshman Academy Instructor at a charter school. Rebecca relocated to the Bay Area for her husband’s schooling, and along the way she has found many students to connect with through various tutoring programs such as MPM and Tree of Knowledge, as well as tutoring independently. Now she’s found a new home at Miracle Math Coaching. Rebecca is a mother to twin “threenagers” and a young toddler. In her free time, she likes to sing, write, and do silly dances with her kids. Hello! My name is Coach Kat and I am ecstatic to have found a family who also shares the joy of helping intelligent children realize their natural abilities to analyze, comprehend, and organize the information given to them in order to produce a logical answer. People may look at my math grades and think I am a natural, but this is not true. I struggled a lot and I spent all of my free time and lunch periods during school receiving help from my math teachers. Only a person who has struggled can empathize and effectively target the reasons why another person does not understand the subject matter. I tutored my fellow classmates in math all the way through college. I have now graduated with a Bachelor’s in International Business and German. I am quite thankful to have found Miracle Math Coaching, because now I can use my tutoring skills to uplift and help my community. Tutoring takes teamwork on the part of the tutor and the tutoree. Math is not a subject where one simply memorizes the information. Math is important to me, because Math applies to every subject and aspect of our lives through the valuable critical thinking skills math instills in us. Born in Fairfield, raised in Vacaville, and educated at UC Davis, Julie Barnes is – in grocery store parlance – locally-produced. She tries hard to be cool by keeping up with the latest memes and showing scars from wild bird attacks, but people always see through this and find a big goofy lady who just wants her students to be confident enough to grab onto their own education. As an elementary student, Julie was sometimes sent out of the classroom for giggling too hard at the thoughts in her own head. Through college, education was doled out by good enough teachers who assigned pages, projects and grades in an orderly fashion. The one amazing exception was the professor who taught Mathematics for the Elementary Classroom. Here at last was a teacher who listened, who gave learners time to think, and who engaged the students’ whole selves to learn even as he used his whole self to teach. The lesson of patience was the most important part of teaching credential program. Julie’s heart is optimized for one-on-one rather than classroom teaching. Listening as students think aloud and watching as expressions shift from bafflement to comprehension and back again is best done at close range because Julie is nearsighted and hard of hearing. This careful attention slowly builds confidence in students so they can begin to answer and ask the hard questions in school and out. Julie lives in Suisun City with 27 lizards and a snake. Patrick Laboon, Miracle Math Coaching’s Student Services Coordinator, works to fulfill the various needs of our parents, students, and coaches. As an administrative resource and frequent face at our front desk, he works to schedule, coordinate, and reschedule until every relevant party is happy and things are running smoothly. Patrick is a planner, fixer, and unwavering optimist dedicated to providing the services our Miracle Math community needs to thrive and succeed. As a graduate from two University of California programs and enthusiast of world culture and history, Patrick has gained an appreciation and passion for education and its ability to bring people together. From growing up working with preschoolers at his family business, to teaching English in Nepal and lecturing on topics to undergraduate students as a Teaching Assistant, he has experienced the value of academics across the spectrum. When not at Miracle Math, Patrick can be found hiking, brushing up on his Mandarin, or explaining overly-complex board game rules to others.